DOGS 101Why Do Dogs Have Tails? The holidays are a time for friends, family and food. We can think of no better way to get into the spirit of the season than by making these dog-friendly holiday recipes. that humans can eat, too. 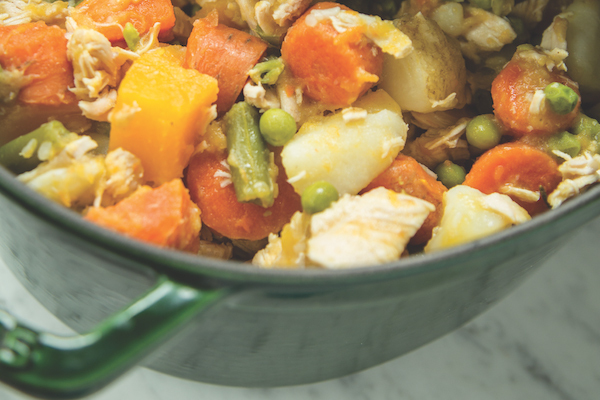 Thick, hearty, and packed with vegetables, this warm and versatile winter stew is a dish that will quickly become a tradition for you and your dog. Use up your holiday leftovers with this great recipe. Don’t have one of the veggies listed? No problem! You can use any dog-friendly veggie you have in your fridge. Put potatoes, carrots, squash, and herbs in a large pot and cover with the chicken broth. Bring to a boil, cover, and simmer for 30 minutes or until veggies are tender. Add frozen peas, green beans, and chopped turkey and simmer for another 10 minutes. Allow to cool and thicken before serving to your dog. For humans, season with salt and pepper to taste. 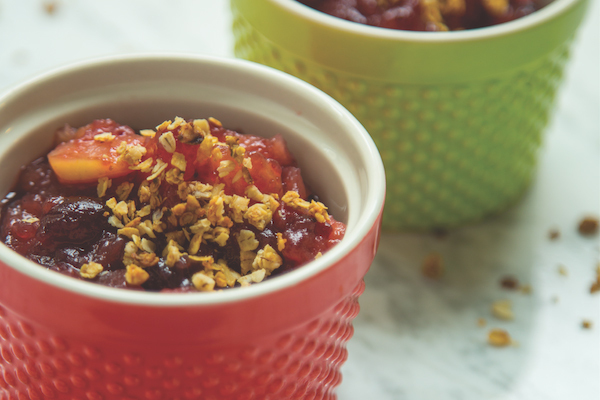 Fruit can be hard to come by this time of year and eating plain apples can get a little boring. Cooking apples brings out their natural sweetness, and the tang from the cranberries will add a little zing and color to your holiday table. Place all sauce ingredients into a medium saucepan and bring to a boil. Reduce heat and simmer for 15 minutes. You can eat the sauce as is, but if you want to take it to the next level, add the topping. Mix all ingredients for the topping in a small bowl. Scoop sauce into ramekins and sprinkle the oat mixture on top. Bake at 350 degrees Fahrenheit for 5 to 10 minutes, until topping is brown. Cool before serving to your pup, but humans can eat it warm and add a scoop of ice cream. Nothing puts the feeling of holidays in the air like the smell of gingerbread baking. These cookies will delight your dog’s senses! Mix flours and spices in a bowl. Add the molasses, oil, and water. Mix until combined. Add additional water or flour as needed so the dough comes together in a ball and is moist, but not sticky. Roll out dough to 1/4 inch thick. 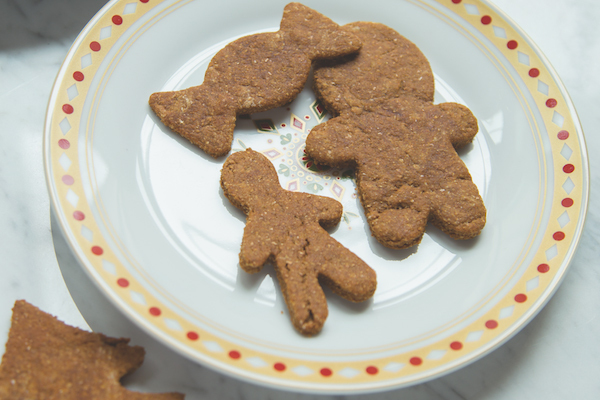 Use your favorite cookie cutters to cut out the cookies. Bake at 350 degrees Fahrenheit for 20 minutes. For the humans: Dogs don’t need much sugar, but for yourself a little icing will add the perfect sweet touch. A classic holiday treat, this version celebrates the natural sweetness of sweet potatoes and the rich, creamy flavor of coconut. This recipe smells heavenly while it’s baking! Place the potatoes in a bowl and mash with a fork until smooth. Add cinnamon, ginger, coconut milk, maple syrup, and eggs. Mix well. Spoon mixture into a baking dish or pie plate. Bake at 350 degrees Fahrenheit for 35 minutes. Sprinkle with coconut. Cool before serving to your dog. Short on time? Leave out the eggs and skip the baking for a rich and delicious mashed sweet potato.